Bishops need courage not to keep looking over their shoulders to Rome and to confront – respectfully but robustly – those who want to lead us back to the nineteenth century. Fr. 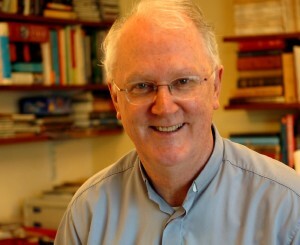 Brendan Hoban, PP., Ballina. Picture: Henry Wills, Western People. The Irish Church needs bishops who are not afraid to speak their minds and name the truth as they see it, Fr Brendan Hoban of the Association of Catholic Priests has said. In his weekly column for the Western People newspaper, the Co. Mayo-based parish priest outlined his wish list for the kind of bishops that he believes would assist the Irish Church in its journey towards renewal. The ACP spokesman said, “Tomorrow’s men” must have the imagination, the creativity and above all the courage not to keep looking over their shoulders to Rome and to confront – respectfully but robustly – “those who want to lead us back to the nineteenth century”. Referring to recent articles in the Irish Times on the forthcoming retirement of Archbishop Diarmuid Martin of Dublin and his auxiliaries, Bishop Raymond Field and Bishop Eamon Walsh, Fr Hoban noted that there was a suggestion that the departure of these three bishops was “an opportunity for the appointment of an entire cadre of new leadership and the energy that would bring at a time when a fresh start there and in the Catholic Church generally is so much needed”. He added that the “same could be said of the west” with Achonry and Clonfert currently vacant and Tuam and Galway set to become vacant when Archbishop Michael Neary and Bishop Brendan Kelly retire in a few years. At the moment several dioceses are vacant or will be vacant in a few years. These include not just Dublin but Cork & Ross, Galway, Tuam, Achonry, Kilmore and Ferns. The fact that there are so many dioceses vacant, and with Pope Francis’ reforming policy, suggested that “a new and different form of leadership in the Irish Church is about to emerge”. He added, “the hope would be that a new style of leadership in the West might evolve too”. But Fr Hoban, who is a founder member of the ACP, which has over 1,000 priest members, cautioned against over optimism. He suggested that those making the decisions are, effectively, replicating versions of themselves in the appointments they make. He highlighted the plight of Bishop John Kirby of Clonfert who retired over five years ago. He acknowledged that part of the problem seems to be that some priests regard an episcopal appointment as “a nightmare rather than an honour”. Fr Hoban said another problem is that “being a bishop is an impossible task”. He warned that ambitious priests who spend their lives preparing themselves to be bishops are the kind of bishops that are not needed.